Yesterday I was in the checkout line at a supermarket near several hotels, waiting behind a group of around 8 Asian tourists. 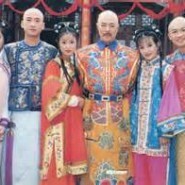 “You are from China?” I asked the woman wearing a colorful blouse in front of me. “Yes, from Shanghai!” she answered in a booming voice. And then I looked down and noticed she was holding a large box of Israeli tea. And then I looked at her compatriots and saw that the woman in the colorful blouse was not alone. Most of them were also holding packages of Wissotsky black tea, the huge green box with 100 teabags. Some of them were even holding two. Strange, I thought. Is there not enough tea in China that they need to buy tea in Israel to bring back home? The woman nodded and giggled, and then turned to their group leader, who, it seemed, was the only group member who spoke English well enough to answer me. So there you have it. Israel is known around the world for many things. For our missile defense systems. For our remarkably successful startups. For our juicy oranges and delicious felafel. They have extremely poor environmental protection in China, which affects the tea. My hubby is British i.e. drinks tea like water, and would not drink Chinese tea because of that. Israeli tea is probably much cleaner haha. I have a question do they have herbal teas without caffeine? I have been to China my son is teaching English to chinese high school students.. The place is inbetween Shanhai & Hong Kong.. I did not see the Israeli Tea ..they had other tea..
Everything was extra clean and sanitized .. I was last there last year. one of the members of the tour group said that tea in China is from China. Tea in England is from Africa. And tea in Israel is the true English tea! don’t know where it’s made, though, or whether he’s just referring to the style. So weird and twisted. People go all over and buy souvenirs that are made in Taiwan or Hong Kong. 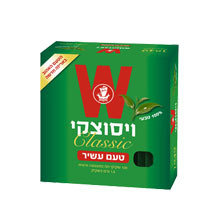 The Chinese may like the tea from Israel because the packaging has Hebrew letters! And Jewish people like to go out to eat in Kosher restaurants that serve Chinese cuisine…..